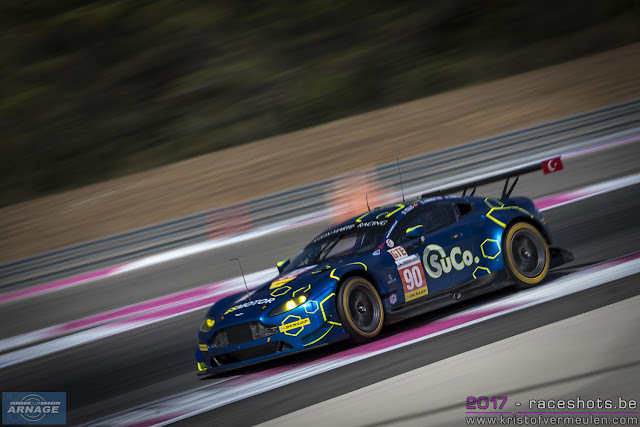 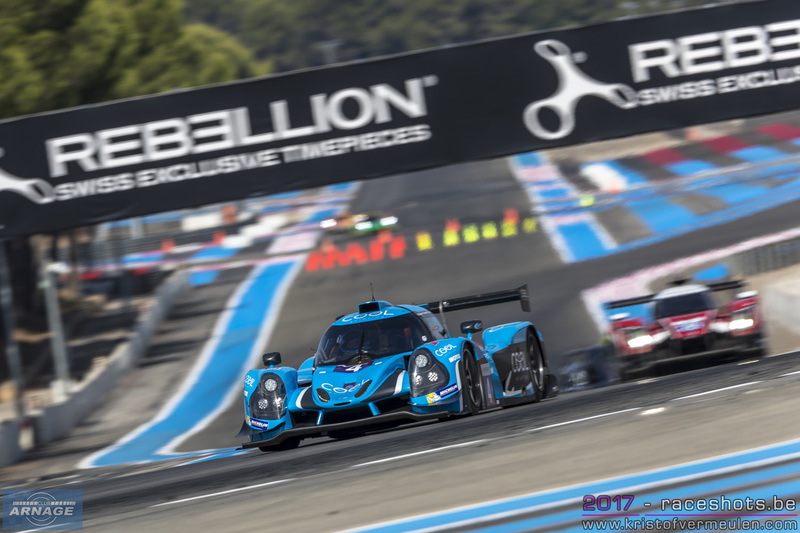 An impressive SMP Racing took victory today in the 4 Hours of Le Castellet. 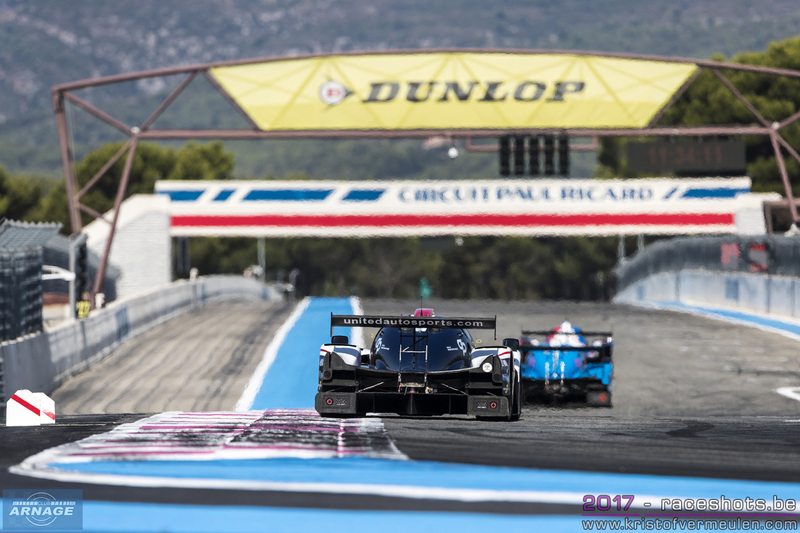 In only their second race in the Dallara P217, Russian younsters Mates Isaakyan and Egor Orudzhev outclassed the whole field giving SMP Racing and Dallara their first ever win in the European Le Mans Series and the LMP2 class. 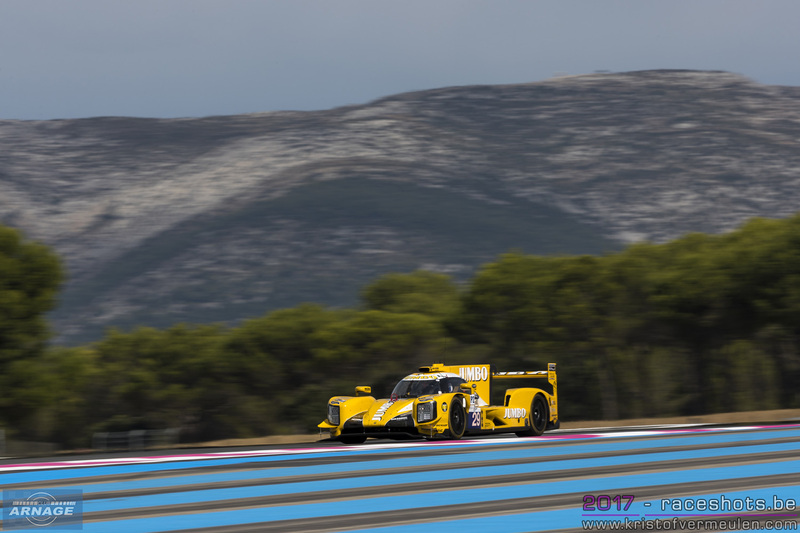 In only their second race in an LMP2 prototype, Mates Isaakyan and Egor Orudzhev lapped every other competitor in the LMP2 class, except for the #22 G-Drive Oreca of Memo Rojas, Nicolas Minassian and Léo Roussel who finished second after four hours of racing under the burning sun in the south of France. Ben Hanley held on to the lead at the start of the race and would do so during the whole opening stint, with Léo Roussel close behind him and Enzo Guibbert in third position in the #39 Graff Oreca. 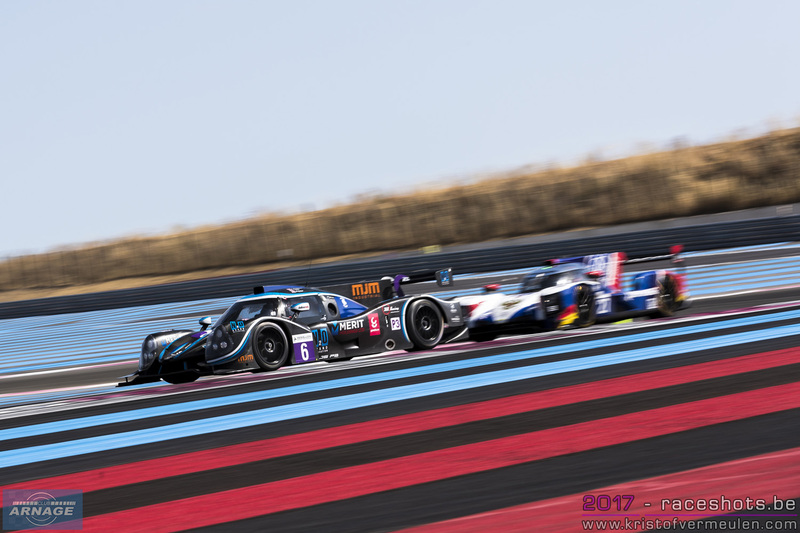 After the first round of pitstops Mates Isaakyan got into the lead of the race, about 20 seconds ahead of the #39 Graff and the #22 G-Drive. Henrik Hedman took over the wheel of the #21 Dragonspeed Oreca but wasn't able to keep up with the pace of leaders, dropping him down the order. 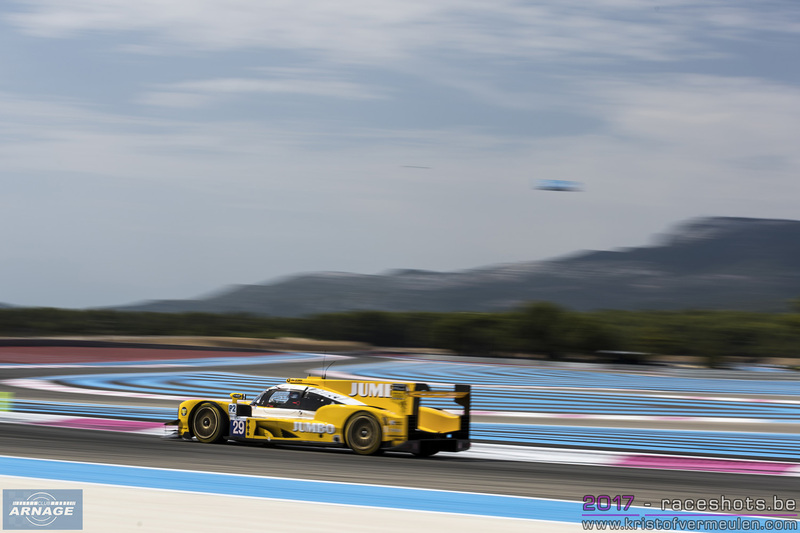 Isaakyan and Orudzhev literally never looked back after getting in the lead and opened a comfortable gap to the rest of the field. Bad luck for Hugo de Saedeleer in his #32 United Autosports Ligier in the opening lap when he spinned at the chicane in the opening lap after contact with Andrea Belicchi in the #47 Cetilar Villorba Corse Dallara. 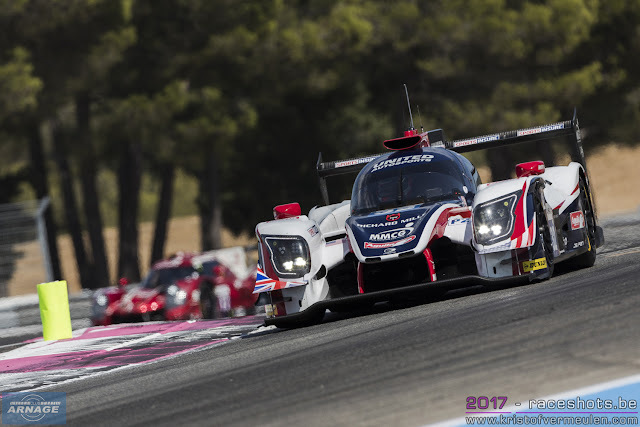 Belicchi got a drive through penalty for causing a collision, but that didn't help the United Autosports crew who had to fight their way back to the top from dead last. Felipe Albuquerque drove the final stint in the #32 Ligier, chasing hard after Paul Petit in the #39 Graff Oreca for the final podium spot. 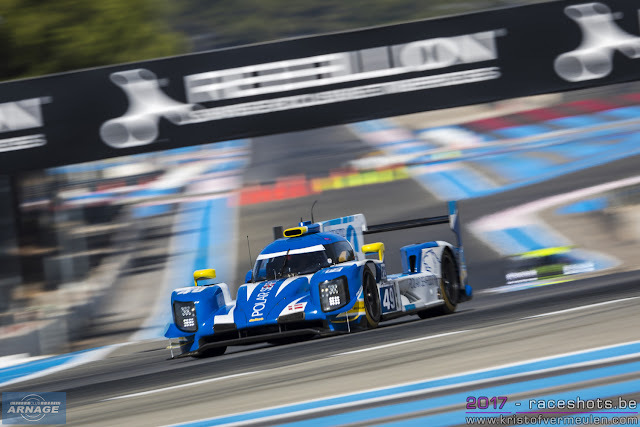 Petit tried to hold on to third place but eventually had to give in to Albuquerque and settle for fourth, only 1.064 seconds behind. 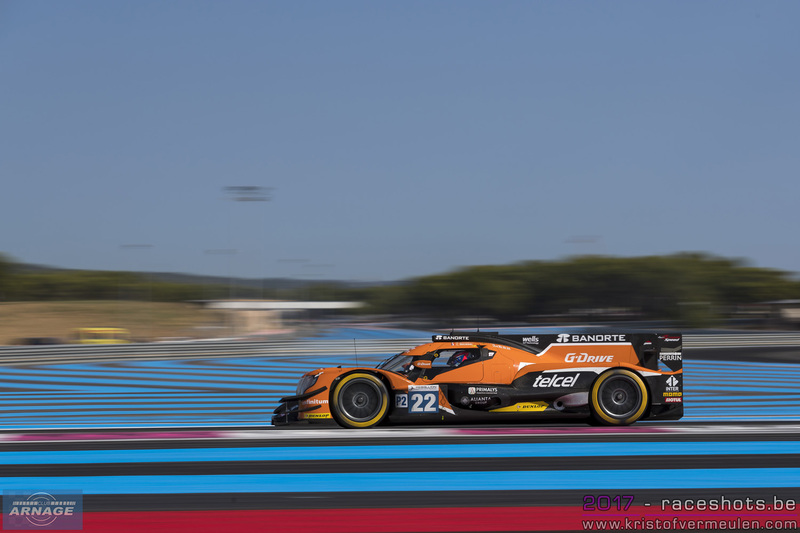 Léo Roussel had another great drive in the #22 G-Drive Oreca, concealing second place well ahead of the battle for third and fourth and the lead in the championship. 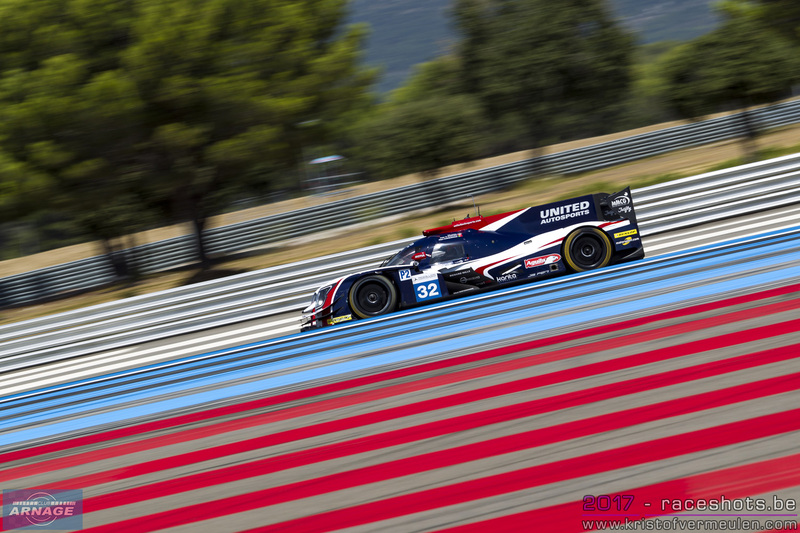 3 hours after the race however, United Autosports would lose their podium spot though, being handed a 30 second penalty for not slowing down quick enough to the 80 km/h speed limit under a Full Course Yellow period. 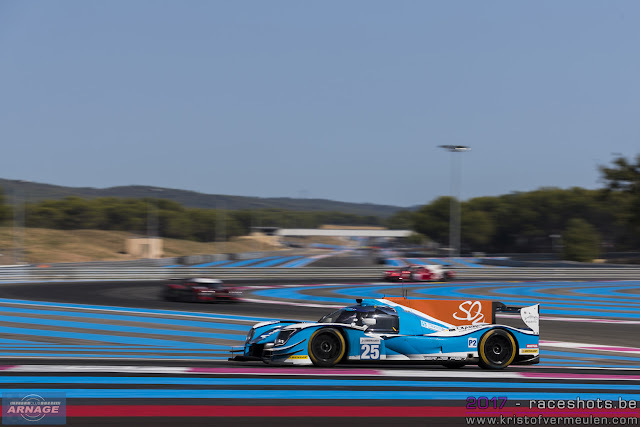 This promoted the #39 Graff Oreca of Eric Trouillet, Paul Petit and Enzo Guibbert to third and the #23 Panis Barthez Competition Ligier to fourth place. 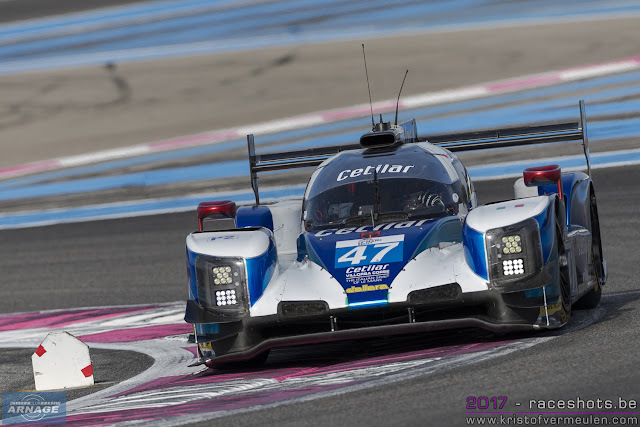 Due to their penalty, United Autosports dropped down to fifth place in the final classification. 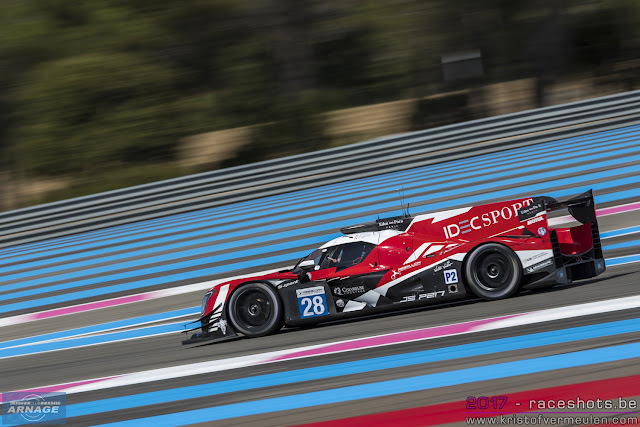 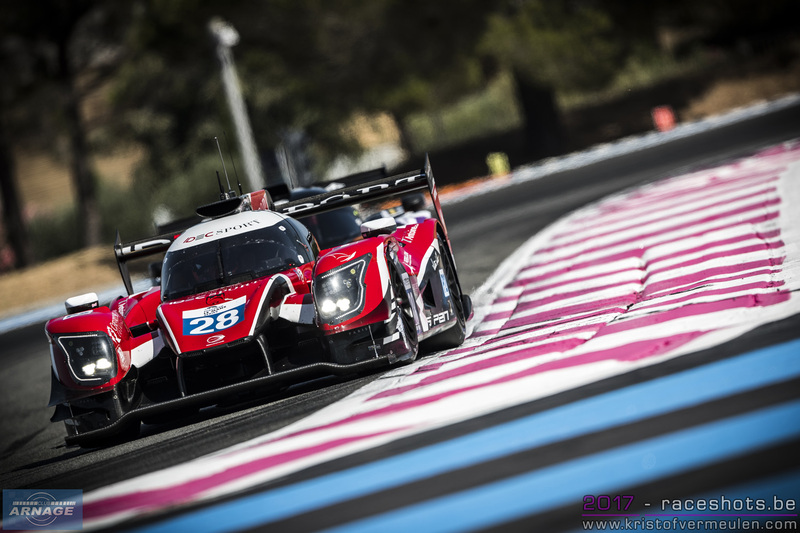 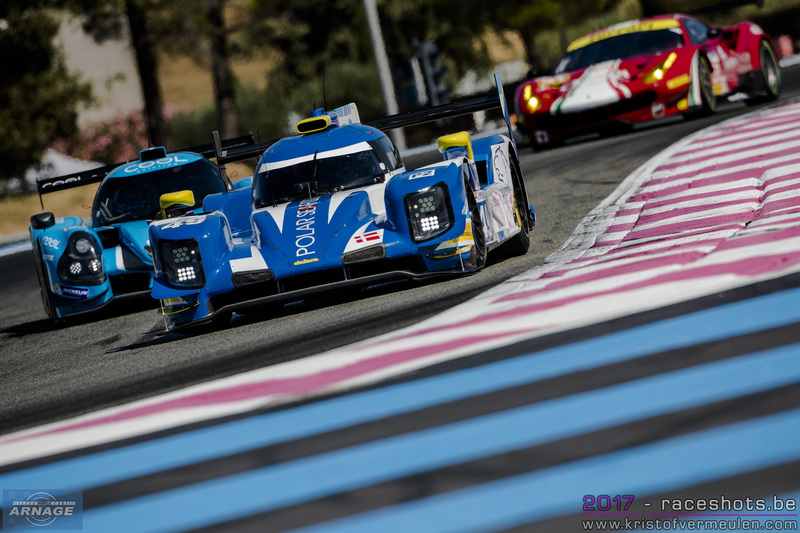 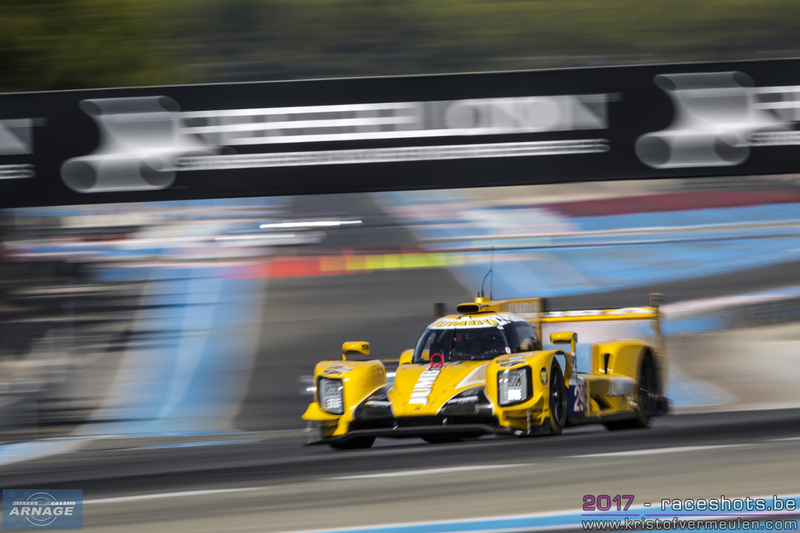 With the win of the Dallara today, all three LMP2 manufacturers now have won a race in the European Le Mans Series with Ligier in Silverstone and the Red Bull Ring, Oreca in Monza and Dallara today in Le Castellet. 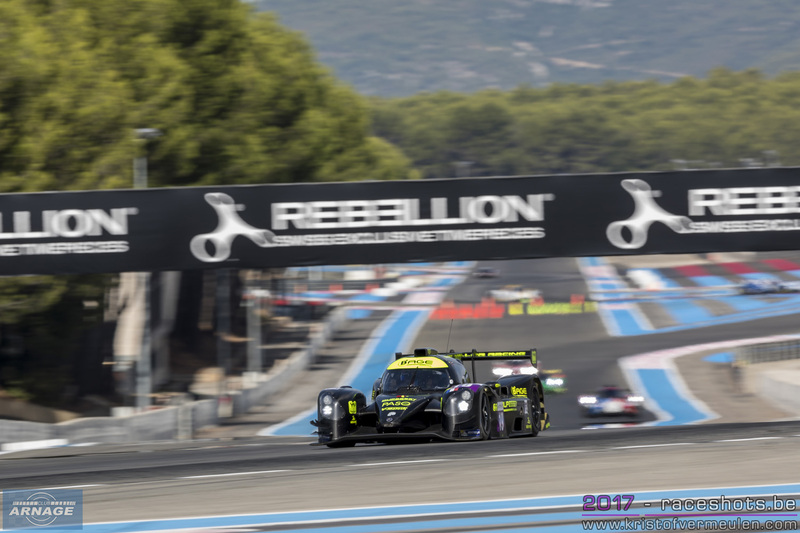 Alex Kapadia in the #15 RLR Msport Ligier took the lead of the LMP3 class in the opening lap of the race, ahead of Alexandre Cougnaud in the #18 M.Racing YMR. Cougnaud couldn't enjoy his second place for long after being handed a drive through penalty for jumping the start. 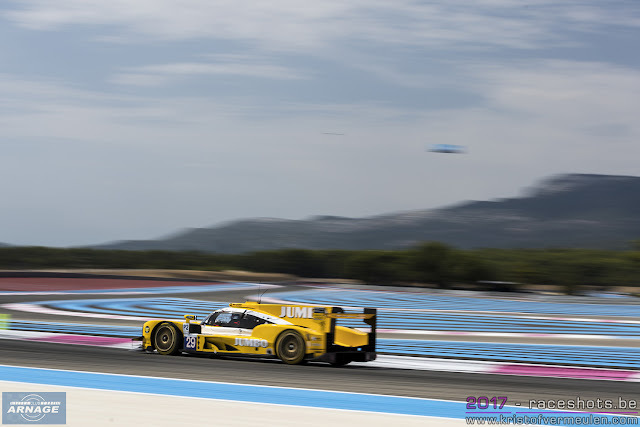 Kapadia drove away from the rest of the field, handing over the car to John Farano. 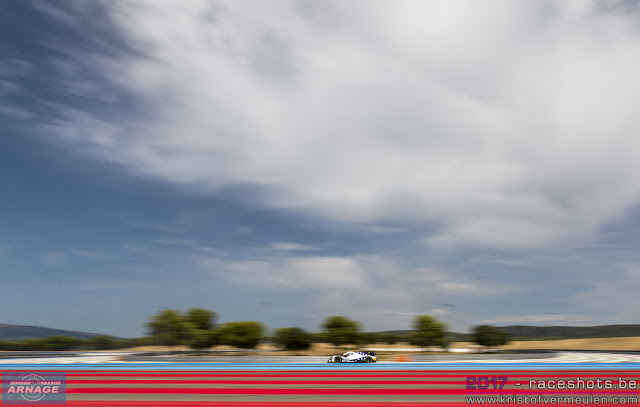 When Farano got hit by Davide Roda in the #10 Oregon Norma, he fell back to the bottom of the field, not being able to challenge for the win anymore. 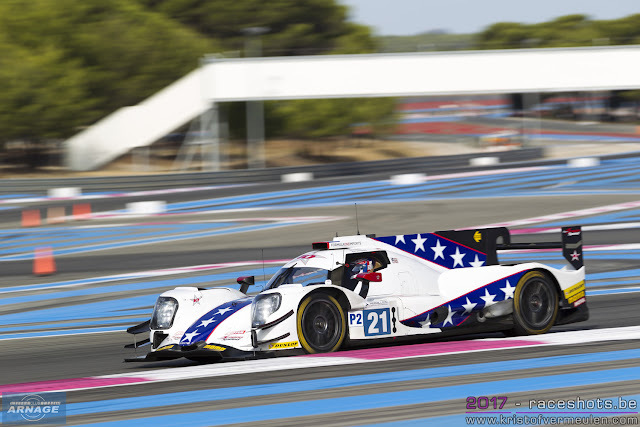 Meanwhile Sean Rayhall and John Falb in the #2 United Autosports Ligier worked their way up the order after starting from fifth in class. 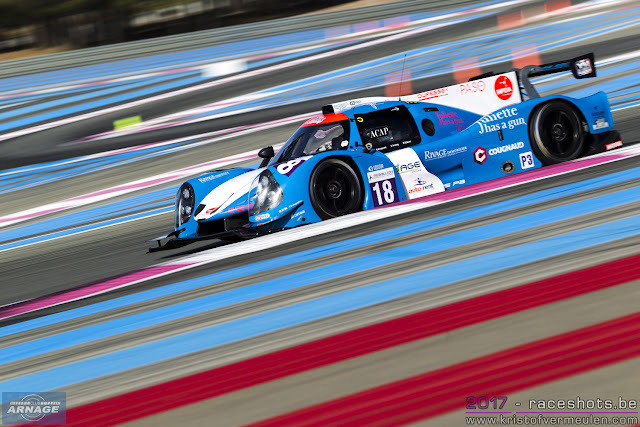 By the second round of pitstops the Americans took the lead of the race, ahead of their title challengers Ultimate in the #17 Ligier JSP3, who would later on drop down the order. 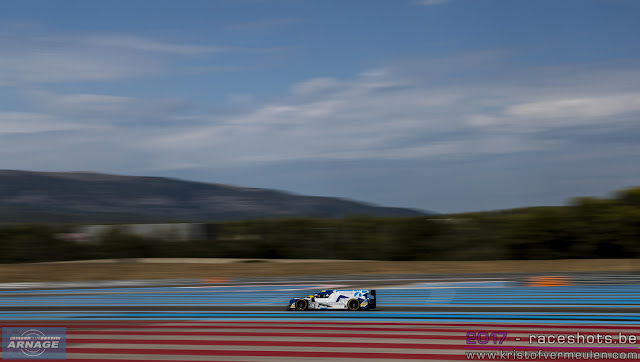 Slipping through the order and steadily heading onwards a podium finish was the #13 Inter Europol Competition Ligier. 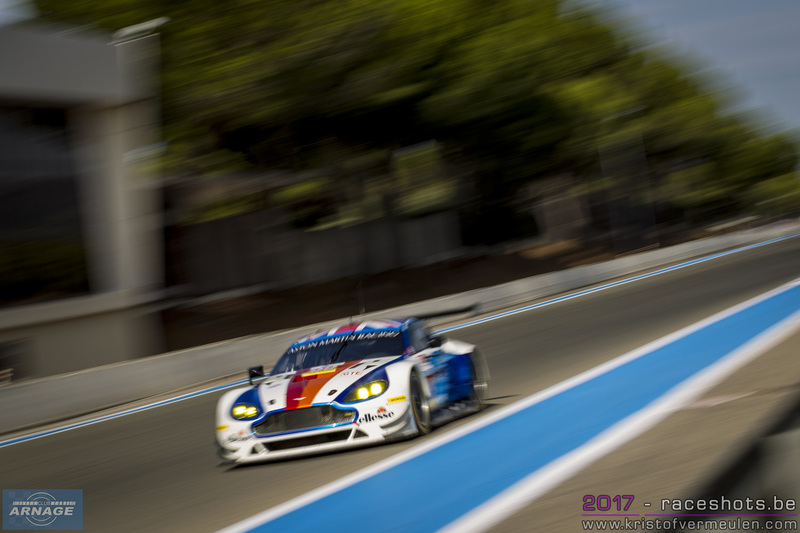 Starting from 27th place on the overall grid, Jakub Smiechowski and Martin Hippe steadily climbed up the order. 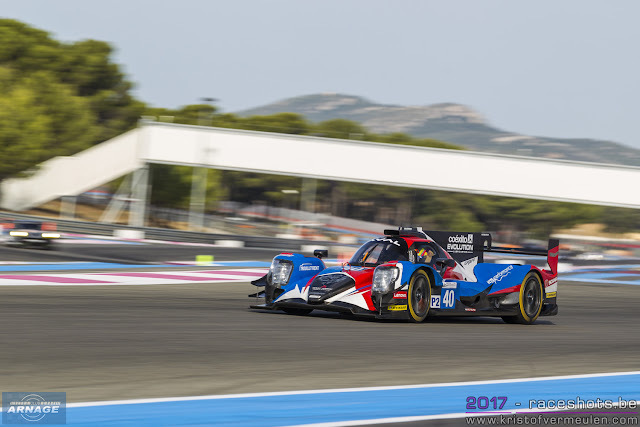 The Polish team had a perfect race without any problems and incidents, being able to challenge the leading United Autosports for the win in the final stages of the race. They ended up just 2.4 seconds short from the winners, and scored their best result ever in the European Le Mans Series and their first podium finish. 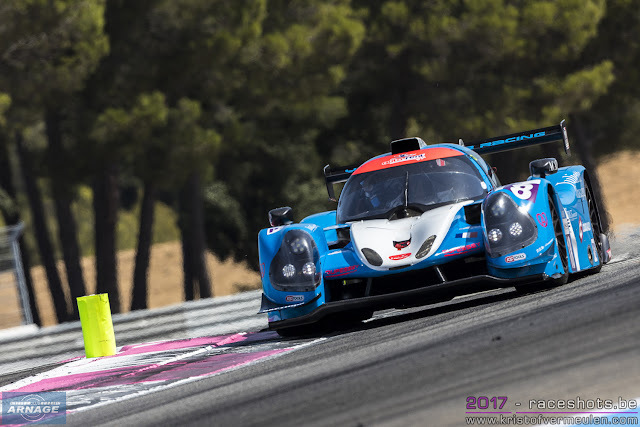 The #18 M.Racing YMR took a hard fought third place after having to serve their drive through in the opening stages of the race. Alexandre Cougnaud, Antoine Jung and Romano Ricci fought back and took a well deserved podium finish. 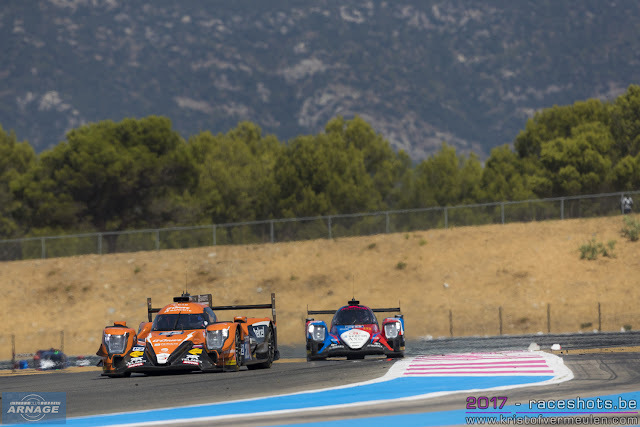 Completing the top 5 in class were the Ligiers of Eurointernational (#11) and Panis-Barthez Competition (#16). Only 10 out of 17 LMP3's made it to the finish today. 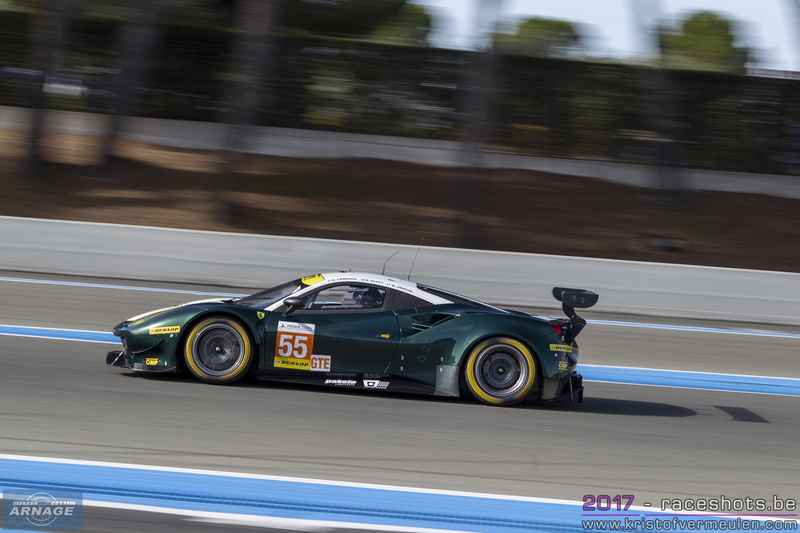 Matt Griffin, Duncan Cameron and Aaron Scott scored their second consecutive victory in the GTE class with their #55 Spirit of Race Ferrari 488 GTE. 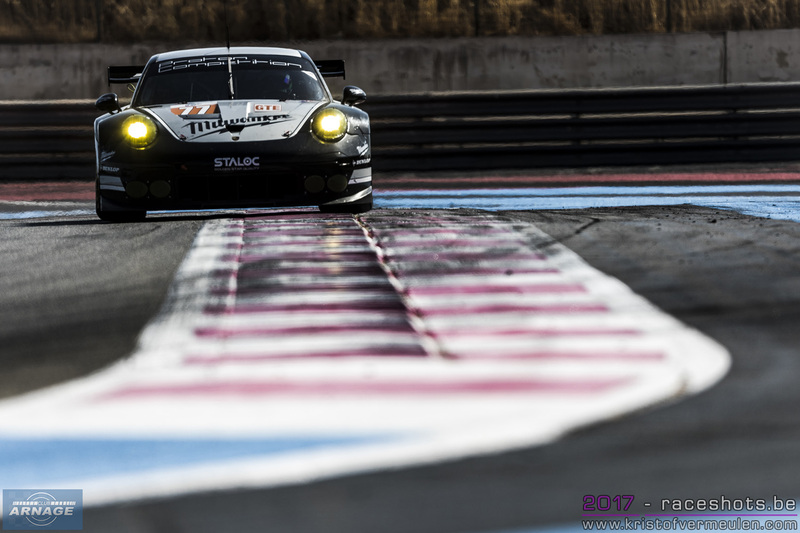 After a very entertaining first few laps in which Christian Ried took the lead in the #77 Proton Competition Porsche, Scott got in front again and eased away from the rest of the GTE field. 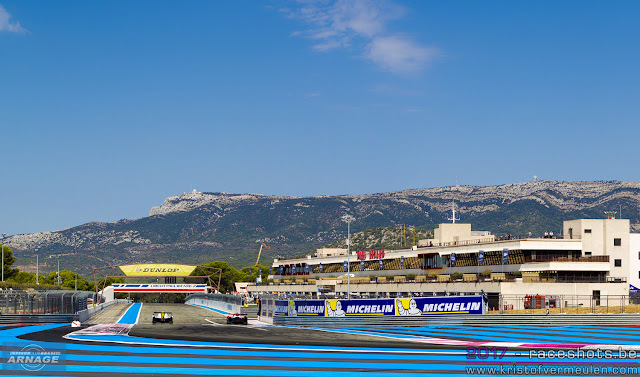 The Porsche would eventually fade away during the race, eventually crossing the line 1 lap down to the winning Ferrari. 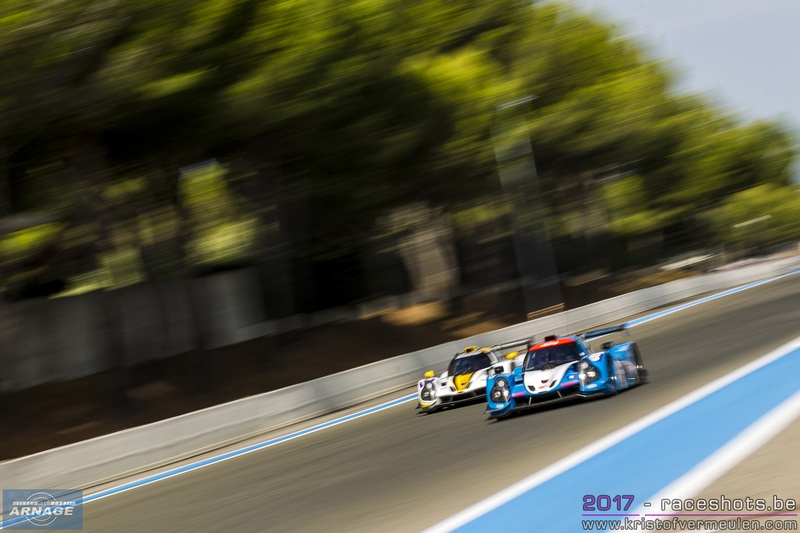 The battle for second and third was quite entertaining during the whole race. 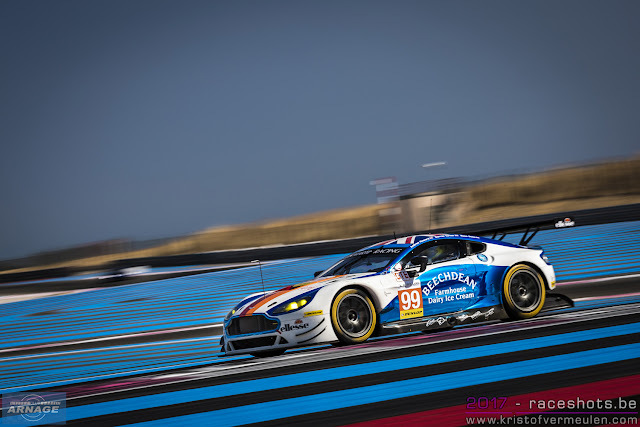 Ross Gunn had a blistering start in the #99 Beechdean Aston Martin, getting up to second after starting from the back of the field. 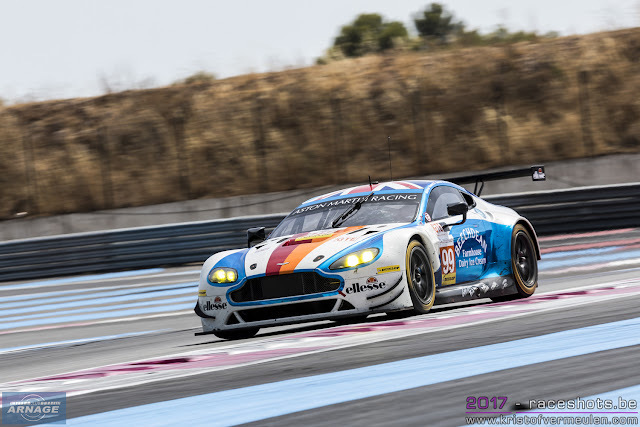 A spin by Andrew Howard however damaged the Aston Martin, giving it some serious handling issues, not able to defend their podium challenge. In the second half of the race it was Nicki Thiim who got the #90 TF Sport Aston Martin into second place, fighting with the #66 Ferrari. 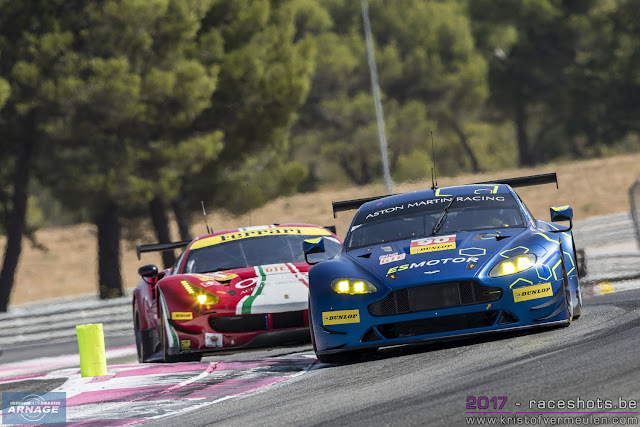 After the final pitstops it was up to Euan Hankey in the Aston Martin and Jody Fannin in the Ferrari to go for second and third. 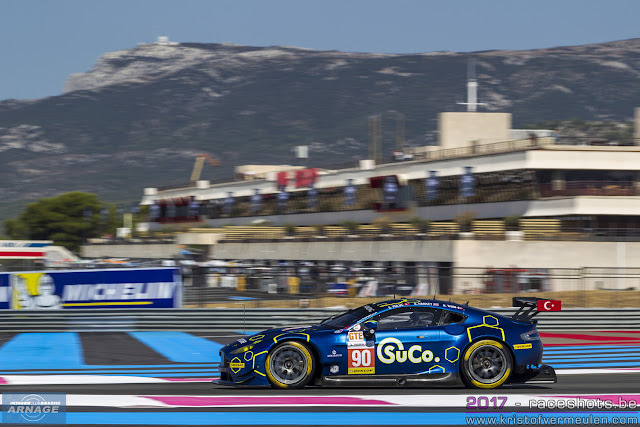 When Fannin had to serve an extra 10 seconds in the pitlane during their final stop for an earlier pitstop infringement, Hankey held on to second. 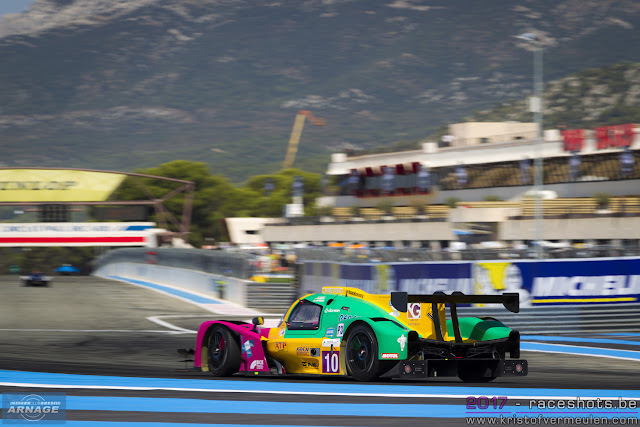 Fannin put in a late charge in the final laps of the race but just came 1.054 seconds short for third place. The penultimate round of the 2017 European Le Mans Series will be held at Spa-Francorchamps in the final weekend of September. 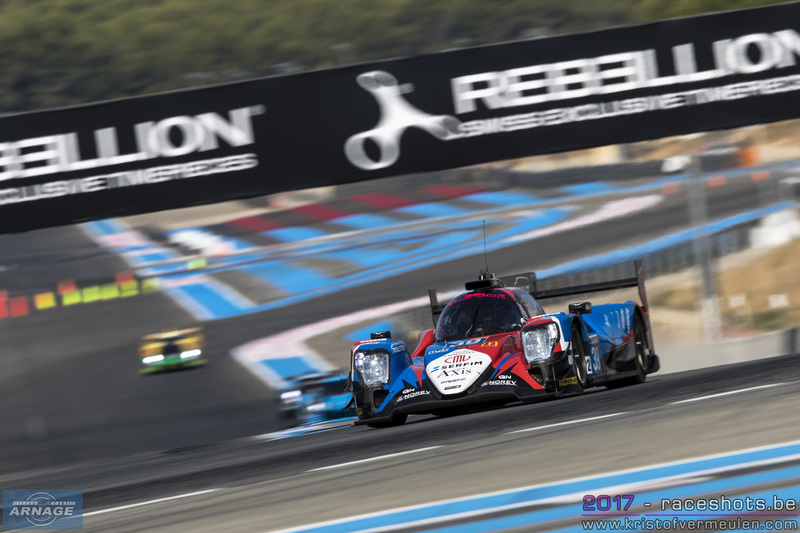 Under a very sunny sky and with temperatures exceeding 30 degrees, Nicolas Lapierre clinched pole position this afternoon for the fourth round of the 2017 European Le Mans Series, the 4 hours of Le Castellet. 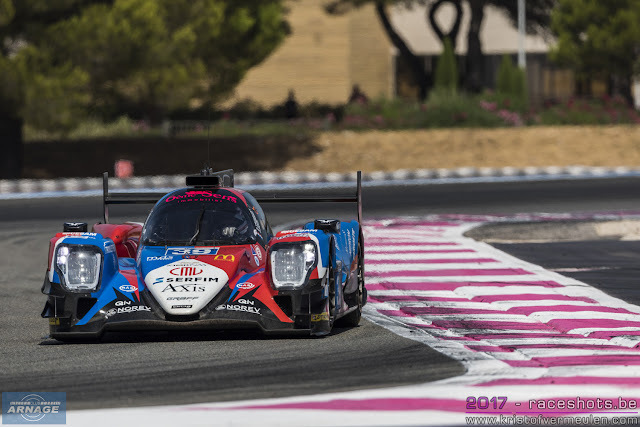 Nicolas Lapierre has had a perfect weekend so far; after setting the fastest times in both free practice sessions at the Paul Ricard track in the south of France, he also claimed pole position this afternoon in his #21 Dragonspeed Oreca 07. The Frenchman set a time of 1.52.761, his fastest time of the weekend. To make the success of the Dragonspeed team complete, Léo Roussel put the sister car #22 G-Drive Oreca also on the front row with a 1.72.761, 0.145 seconds behind Lapierre. 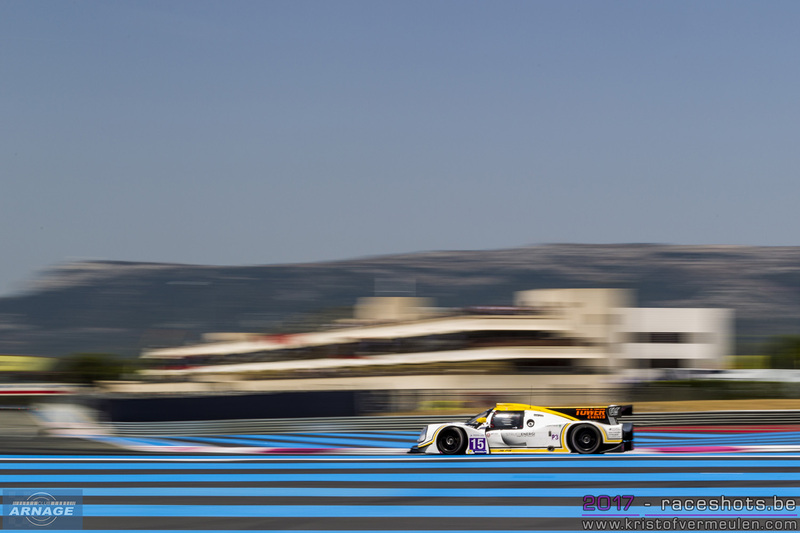 Enzo Guibbert showed his speed again in the #39 Graff Oreca, qualifying in third place in 1.53.051. That's once again three French drivers on the top spots of starting grid and a clean sweep for Oreca. 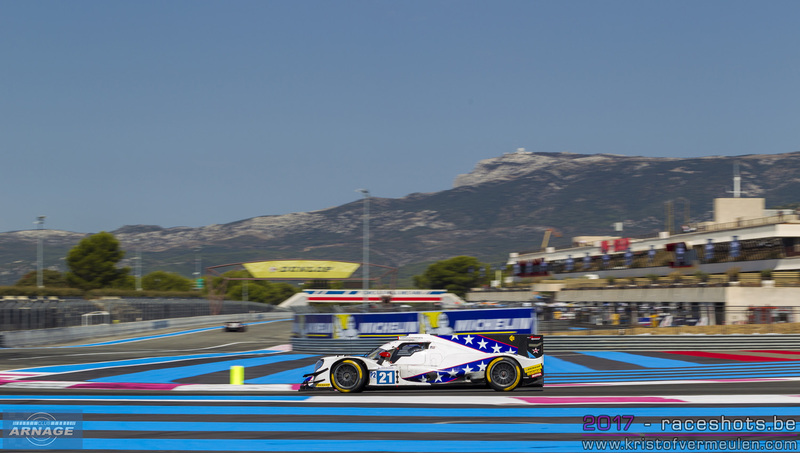 Matevos Isaakyan was once again the fastest man in a Dallara, taking fourth place on the grid in a 1.53.19. Filipe Albuquerque was the fastest Ligier this afternoon, good enough for fifth place ahead of the second Dallara of Giorgio Sernagiotto. After a very thight second practice session, the LMP3 qualifying session was the one to look out for. Ross Kaiser put his #6 360 Racing Ligier on pole position in 2.02.186. 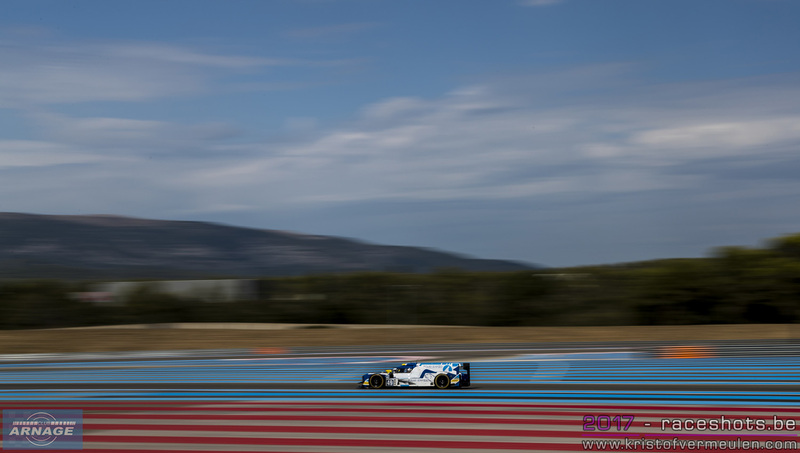 Alex Kapadia in the #15 RLR MSport Ligier was second fastest this afternoon, 0.285 seconds behind the leader. 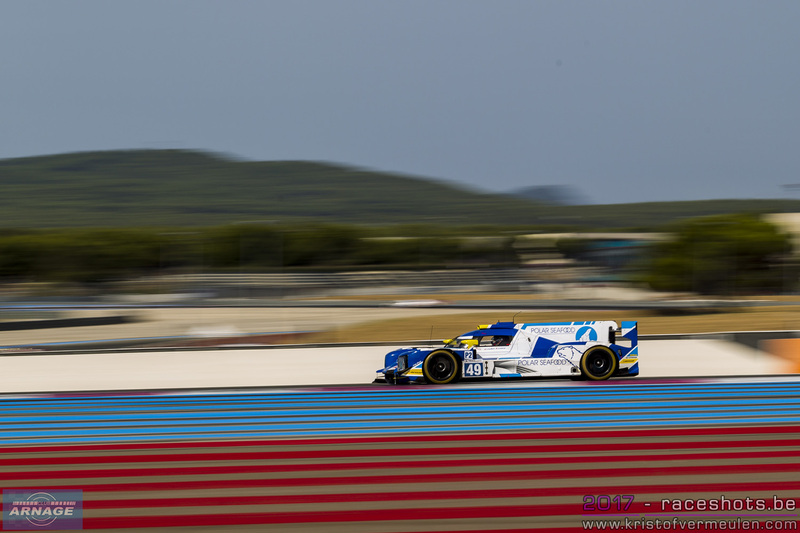 Third fastest was Alexandre Cougnaud in the #18 M.Racing-YMR Ligier, 0.137 seconds behind Kapadia. The first Norma M30 will start on fourth place tomorrow, courtesy of Yann Ehrlacher in the #19 M.Racing-YMR. Rounding out the top 5 was completed by Sean Rayhall in the #2 United Autosports Ligier. 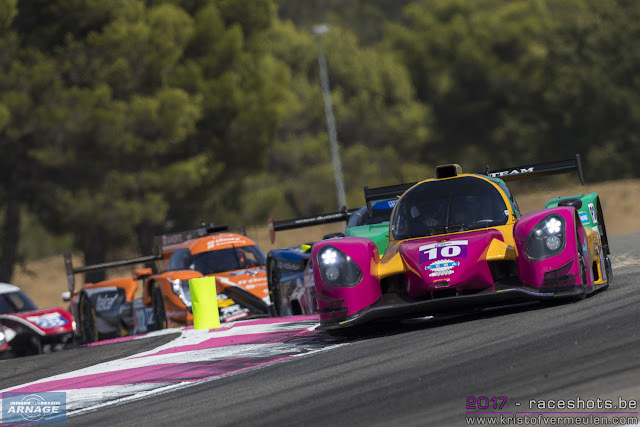 The first 10 cars again finished within a second from eachother, expect some very close racing tomorrow in LMP3 ! 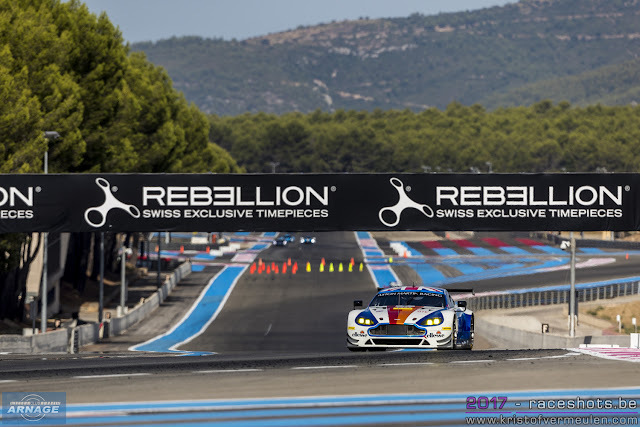 Matt Griffin continued his good form since winning last months race at the Red Bull Ring, now claiming pole position in the LMGTE class. 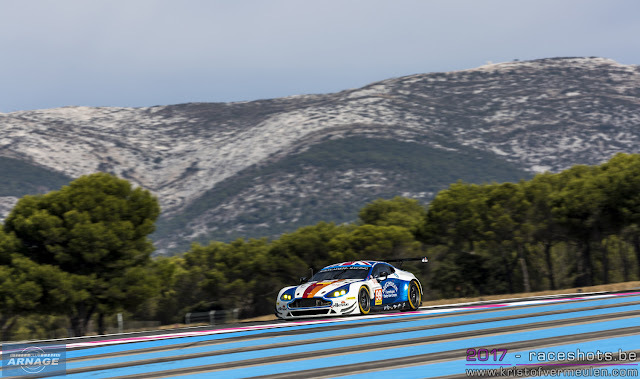 Griffin put in a 2.04.202 in his #55 Spirit of Race Ferrari F488 GTE, which was 0.370 seconds faster than Matteo Cairoli in the #77 Proton Porsche. Third place on the grid tomorrow will go to the second Spirit of Race Ferrari of Andrea Bertolini. 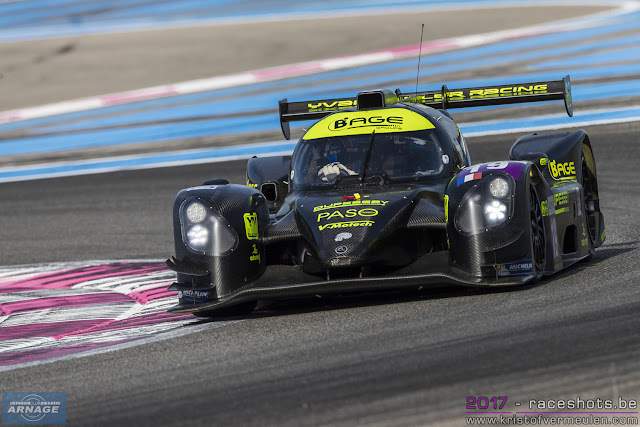 This mornings free practice session was red flagged two times when the #8 Duqueine Engineering Norma went into the guardrails in turn 2 early in the session and in the final 15 minutes when the #28 IDEC Sport Ligier stopped on track. After 90 minutes it was - who else than - Nicolas Lapierre who topped the timetable again in the #21 Dragonspeed Oreca. 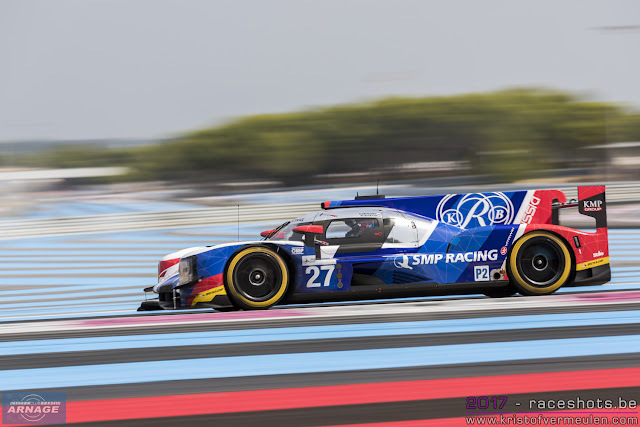 His lap of 1.53.546 was 0.321 seconds clear of Matevos Isaakyan in the 27 SMP Racing Dallara and 0.659 seconds ahead of Filipe Albuquerque in the #32 United Autosports Ligier. 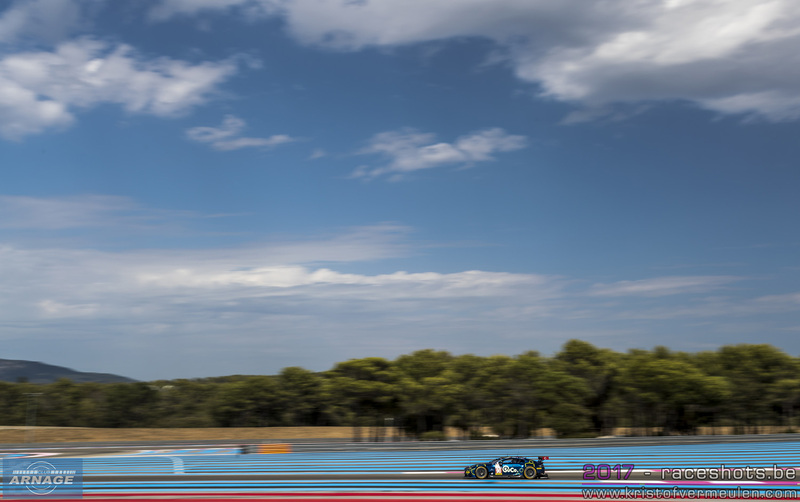 Enzo Guibbert was fourth fastest ahead of Girogio Sernagiotto in the #47 Cetilar Villorba Corse Dallara. 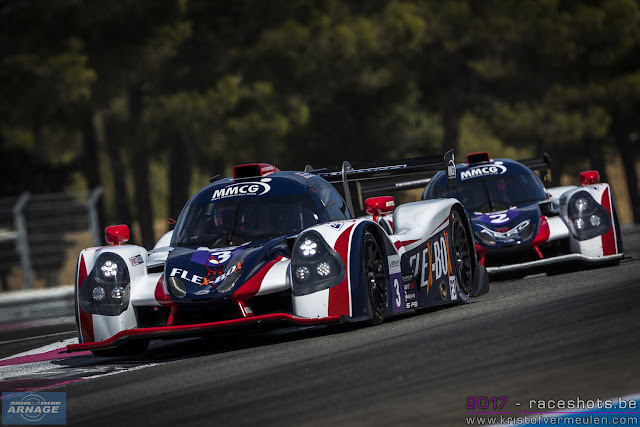 Wayne Boyd in the #3 United Autosports Ligier was fastest in the LMP3 class with a 2.05.155. Second fastest was the #19 M.Racing YMR Norma M30 of Yann Erlacher, just 0.047 seconds behind Boyd. 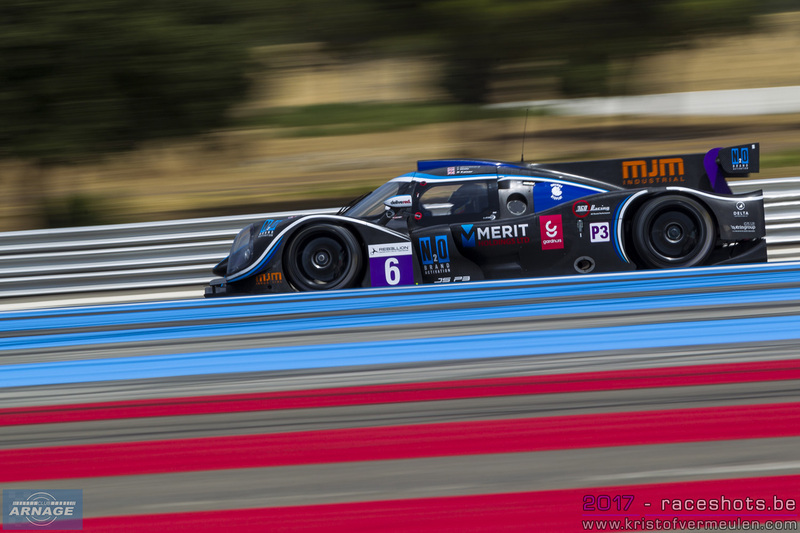 Mikkel Jensen in the #9 AT Racing Ligier rounded out the top 3, just 0.073 seconds behind Erlacher. LMP3 was very close this morning, with 11 out of 15 cars who got on track in 1 second. Both leaders in the championship, the #2 United Autosports and #17 Ultimate had issues on their cars and didn't set a time in the second free practice session. 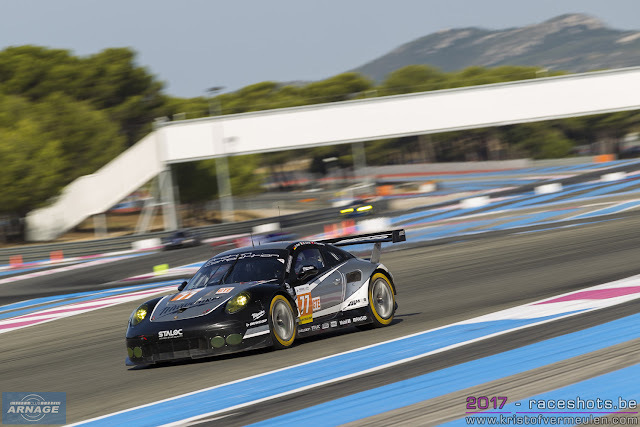 Matteo Cairoli was outright fastest this morning in the #77 Proton Competition Porsche, putting in a 2.05.753. 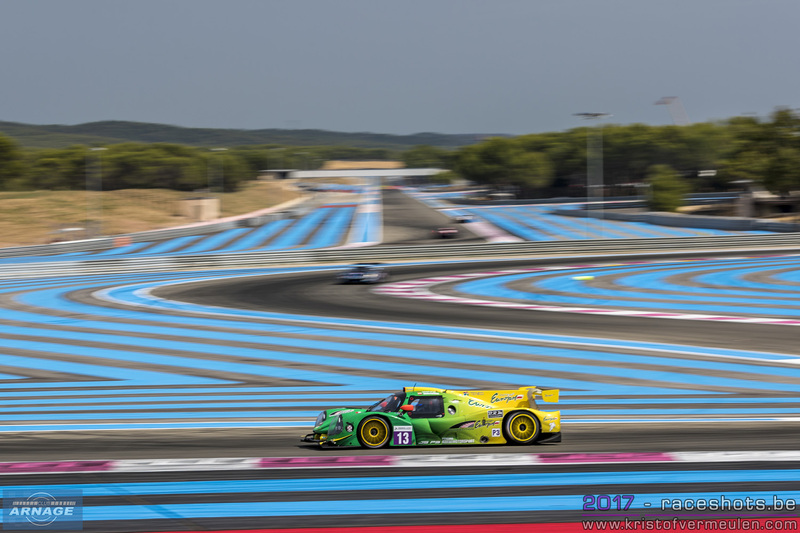 Matt Griffin in the #55 Spirit of Race Ferrari was second fastest, 0.289 seconds behind the Porsche. Rounding out the top 3 was Darren Turner in the #99 Beechdean Aston Martin. The 4 Hours of Le Castellet will be green flagged at noon (12h local time) tomorrow. The race will be streamed live on the elms website: www.europeanlemans.com.